The wonders of a bath! | SimplyBeing. The wonders of a bath! These past few days I have been so busy. If it’s not school/school work it has been my internship. I am on the go from the moment I wake up to the moment I go to sleep. I’m either taking the tram, bus, or metro, studying/doing HW, checking my e-mails, at school or at my internship. Days go by so quickly! 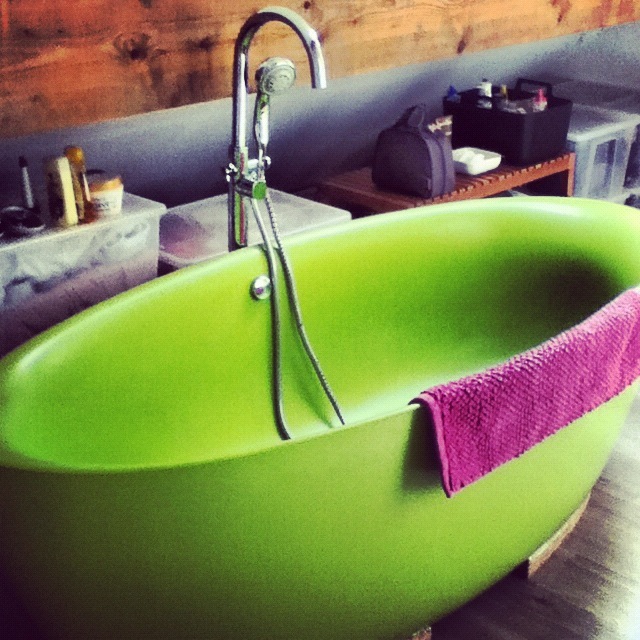 My only type of relaxation is when I take a bath. Back in the states I only take showers but here I have no other choice. The bathtub is big (I can lay down and I’m 5’4) and it’s bright green in the middle of the attic. At first I was a bit disturbed but I’m used to it now. When I get back home I might even miss just laying down and relaxing from time to time. I lay in the tub and just think about my experience, what’s in store for me next, and what awaits me when I return back home. I really feel like I’m living the typical Belgian life (school and work.) I’m glad that my study abroad experience here is like this. Getting an internship in Brussels was one of the best decisions I could have made. I’m living the 9-5 life just like most Belgians. I feel like I’m seeing things from a different perspective than tourists do. I’m really getting to know the true Brussels. I even feel 10x more comfortable with transportation and finding my way around than when I did the first couple of weeks I arrived here. A lot has changed in a month. Lately, here in Brussels, it’s been pouring like non-stop rain. It’s the worse because it’s that windy rain where having an umbrella is pointless! So I decided to have my hair curly for the next 2 weeks! Wish I would of brought my rain boots but they would of taken way too much space in my suitcase! Well today after it decided to pour in the morning my roommate and I went to register at the town hall. The building is absolutely beautiful! 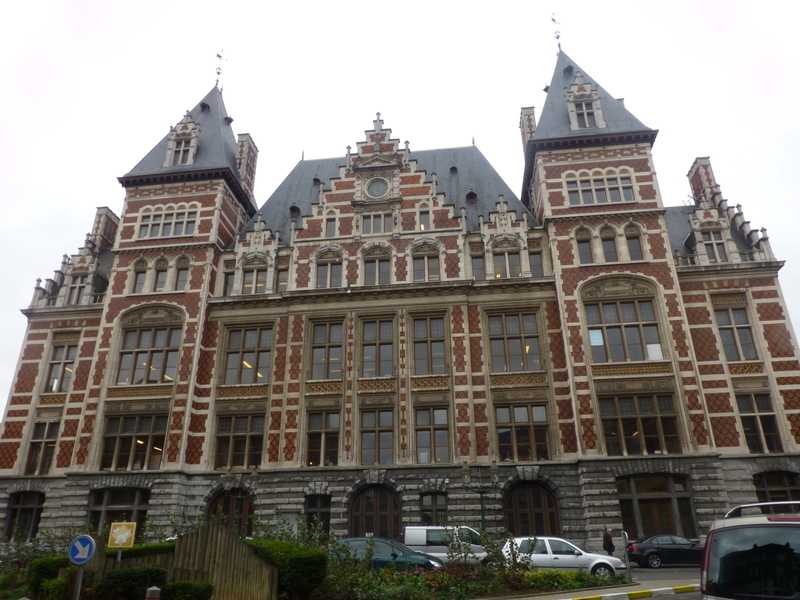 It was built by Jules-Jacques Van Ysendijck in 1887. Europe is filled with old buildings something you don’t see much back in the states. I love architecture that looks like that! The details on the building are truly impressive. To think that people with less technology than us built such marvelous creations is absolutely impressive. This entry was posted in Semester in Belgium and tagged abroad, adventure, Belgium, brussels, college, Europe, experiences, intern, internship, journey, student, study abroad, travel on October 5, 2012 by SimplyTiff.